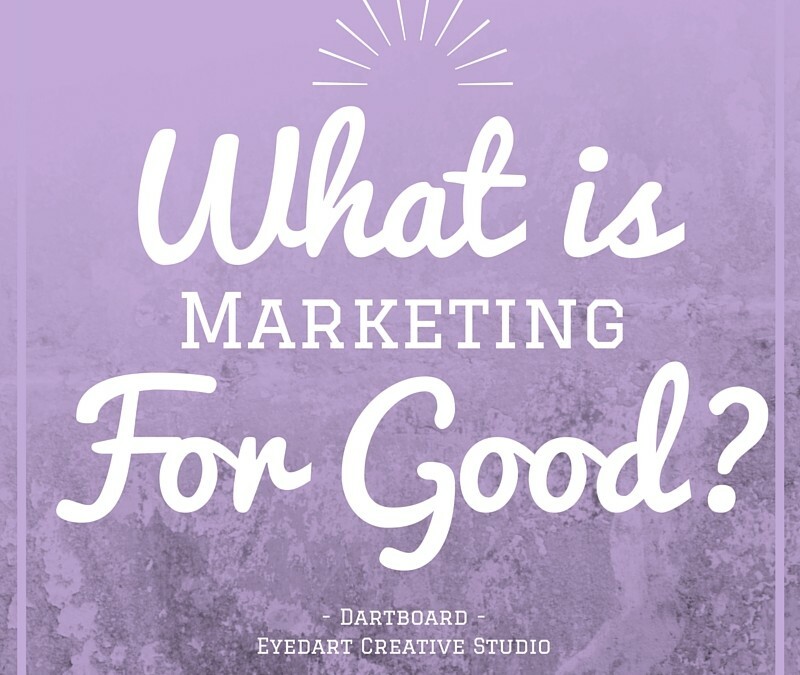 “Marketing For Good” is the table-turning concept that promoting a brand, a person, or a business can be performed ethically and generate attention. Because being a good person and being a person who promotes something don’t have to be mutually exclusive concepts. Lightbulb! At Eyedart, we do our best to adhere to the concept of ethical marketing — for one, because our clients deserve the highest quality work we can give them with the respect they deserve. And two, because ethical, creative marketing is the kind of work that is both memorable and profitable … for all the right reasons. Here’s how we do it. People who care. As the grandfather of modern marketing, Seth Godin, writes in his blog, “only people can have ethics. Ethics, as in, doing the right thing for the community even though it might not benefit you or your company financially. … You either do work you are proud of, or you work to make the maximum amount of money.” Or, in other words, a company can’t be successfully ethical if the people who work there aren’t. Careful, committed work. Completing work that is both careful and committed means: being real, being consistent, being truthful, being responsive, being accountable, and nurturing your relationships. It’s working with integrity throughout difficult tasks, and following up when clients have questions and concerns (even though you may be so completely sure you did it perfectly). It’s caring about what you do, and caring about the people you’re doing the work for. Interdepartmental collaboration. I once read about a building on MIT campus, called “Building 20,” that is a complete mess. Halls from one department lead haphazardly through another department to reach another room from the first. Professors and researchers have historically become lost just walking to a colleague’s office, resulting in something magical: People from separate departments spoke to each other. That building has become a cauldron from which dozens of Nobel Prize winners have emerged. A coincidence? Probably not. So talking to people who specialize in different things than you? Very, very good idea. Creatively rebellious thinking. In order to create content that’s authentic, it’s important to own the fact that there’s nothing wrong with being wrong. Or, owning all of your ideas — the ones that take off right away with high fives and pats-on-the-back all around — and the ones that flop … hard. At Eyedart, our idea-generating sessions start with a client’s goal in mind, but once that’s locked down, we let the ideas – great, meh, flop-worthy — fly. As marketer and self-described “creative rebel,” Violeta Nedkova, says in her blog, “Being a creative rebel means doing things your way. More specifically, it means ‘owning your own weird,’ speaking your mind, and just incorporating all the elements that make you who you are into how you conduct your creative business.” Put some authentic you into what you do, and watch the goodness unfold.